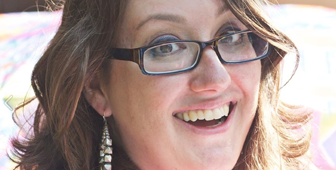 If you haven’t noticed already, I went through quite a drought on my blog as far as posts go. 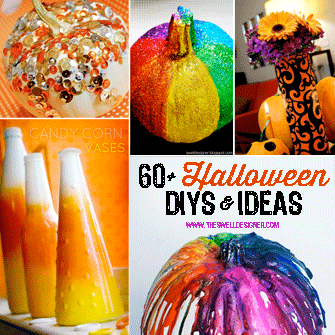 But now Halloween season is right around the corner, I have lots of fun pumpkin projects I plan to bring you! I have a lot more up my sleeve this season so stay tuned! 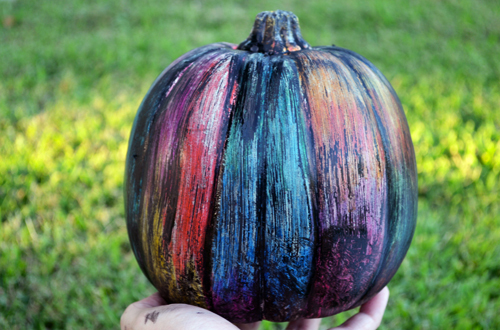 I’ve really been challenging myself to create some really outside-the-box pumpkins this year. It’s been fun and challenging. I would say 3 out of 5 have been miserable craft fails! But you have to go through those to get the good stuff. 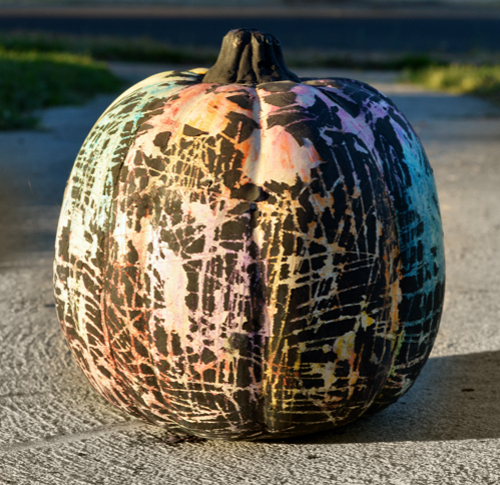 This crazy pumpkin was one of those…not what I originally intended, but the more I let it sit outside, the more it crackled, which was pretty cool. Here’s how I made it! 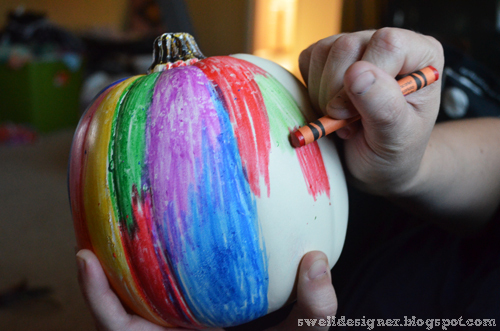 I started off coloring the entire pumpkin with crayon. 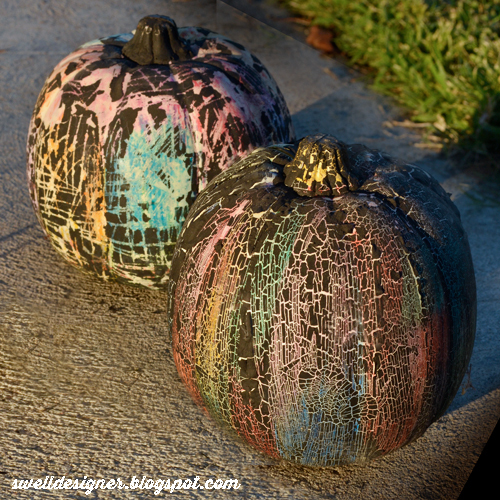 Learn more about this process in my Crayon Pumpkin post I did a couple weeks ago! Next up came the tempera paint. 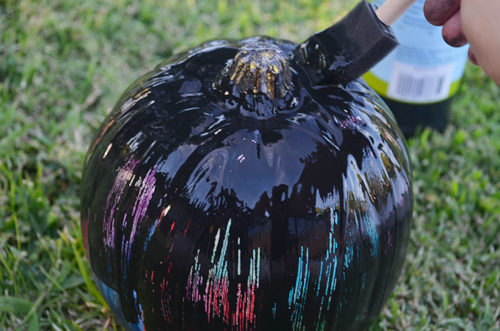 The tempera paint looked so cool over the crayon pumpkin. I first tried using it as a stain and this is the result. I’m pretty sure I would have gotten a small crackle if I left it that way. Here’s what it looked like with a basic black stain rubbed off with a paper towel. 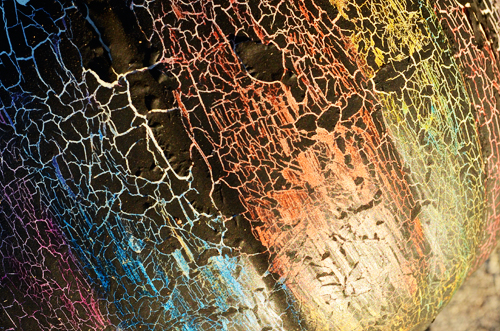 I’m sure this would have crackled some as it dried, but I didn’t test it. 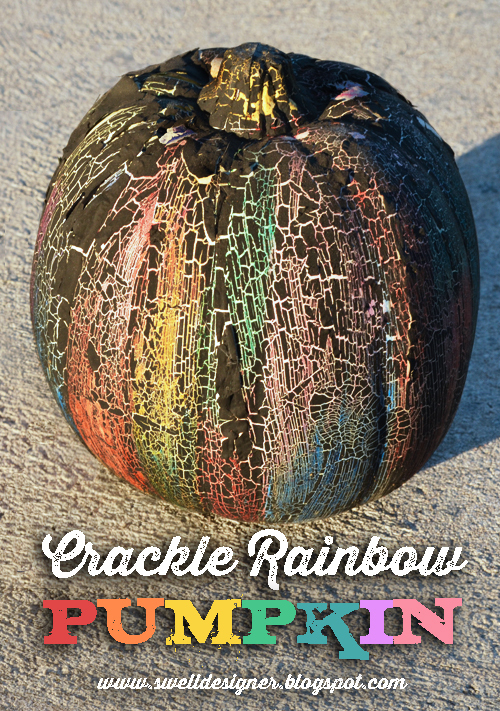 To get the crackle pumpkin, though, you need more coats. I went back in and added 3 coats. 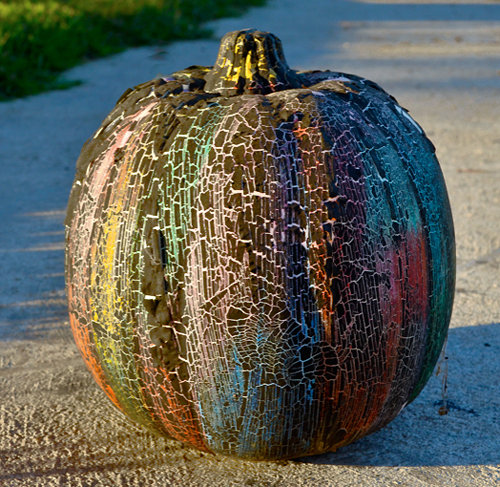 I want to note that I didn’t cover every nook and cranny of the pumpkin to get the crackle effect…a few of the colors still popped through underneath. After letting it sit a week or so, it looked like this up close! 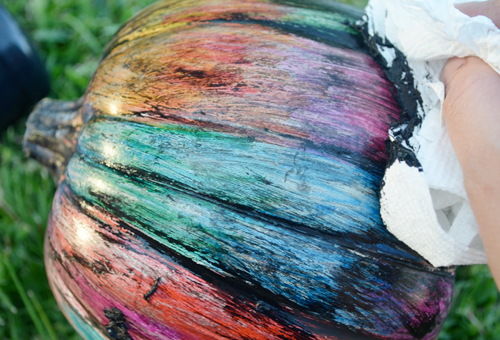 Some of the paint did flake off, but I figure if I wanted, I could always go back over it with a coating of paint! Here’s an alternative version of this pumpkin. I applied about 4 coats of the tempera paint to this one, then went back in with a straight pen and scratched all over it. 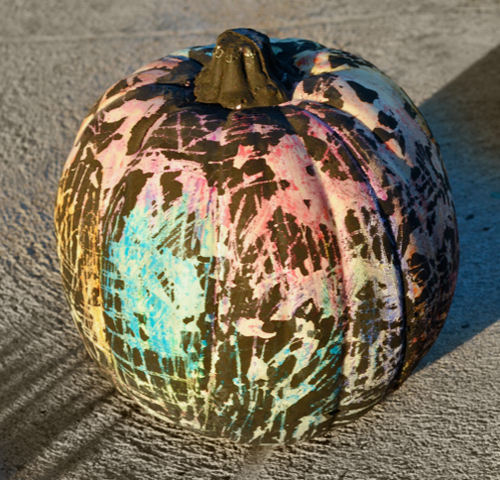 I call this one the “scratch art” pumpkin. And here’s the other side. Some of the tempera paint did come off in big chunks on this one. I love how they both turned out. Which one do you like better?